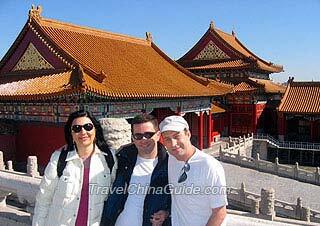 How to Book Tours with TravelChinaGuide.com? Browse the ready-made tour itineraries on our website and select the route most suitable for you. Please click the "Free Inquiry" button below the price, fill in the form and then submit it to us. If there is no itinerary in our ready-made tours that meets your demands, just click "Tailor My Trip" on the above site navigation part of the tour page, fill in the form with your requirements and then submit it to us. More detailed information is highly appreciated as it will help us optimize your customized tour plan more effectively. Note: Prior to sending the inquiry, if you have any questions about the tour, just click our "Live Chat" on the right side of tour pages and raise any of your questions there. Our online travel counselors will answer your questions immediately. Alternatively, you can reach us via our toll free telephones. We are working for your smiles! When our proposal is in accordance with your plans, please show your acceptance of our offer by phone or email and indicate to us your preferred method of payment. We accept payment by Cable transfer, Credit Card, Western Union and PayPal. We will provide you some suggestions and offer detailed instructions about the payment procedure in the email. About ten days prior to your trip starting date, we will send you all necessary contact details for each city, climate information and some further travel advice to help you with your packing. We are all excited about your choice to visit China! Gibt es bei Ihnen ein Tour auf deutsch? In China, German-speaking tour guides are not as many as English-speaking guides and not all the cities can provide German-speaking guides. That should be no problem in large cities like Beijing, Xi'an, Shanghai, but you still need to request earlier. Please feel free to contact us should you need more information. We will try to help you out. How do I purchase admission ticket to Mogao cave on line? You can purchase the ticket on the official website of Mogao Caves or from a travel agency. Yes, normally, you will need to send us the copy of your passport if you book a tour with us. Thanks for your attention. 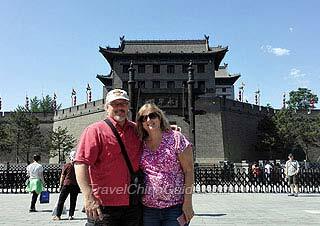 As a US citizen can I obtain a same-day china visa upon arrival to china? No. The rules on visa on arrival are not applicable to the nationals of United States. It is suggested that you apply for a Chinese visa at your local Chinese embassy before enter to China. However, if you go to Hong Kong, you can stay there for 90 days without visa, and you may also avail of the 72-hour or 144-hour visa free transit in Beijing, Xi'an, Shanghai and other cities if you meets the requirements. I would like to book a taxi to collect me from Beijing Airport and take me to Beijing Marriott Hotel City Wall. I will land in PEK at 23:40 but i dont know how long it will take to exit customs. According to my experience, it normally takes around one hour to exit customs including luggage claim. You may also tell your arrival time to the driver when booking the taxi and the driver will wait for you at the airport timely.